A thick peanut sauce coats these perfectly cooked vegetables. 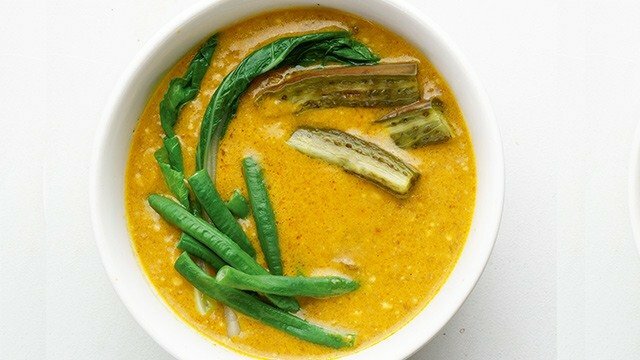 Kare kare (or kare-kare) is a Filipino dish with a peanut sauce made better and extremely tasty with the condiment bagoong (shrimp paste). 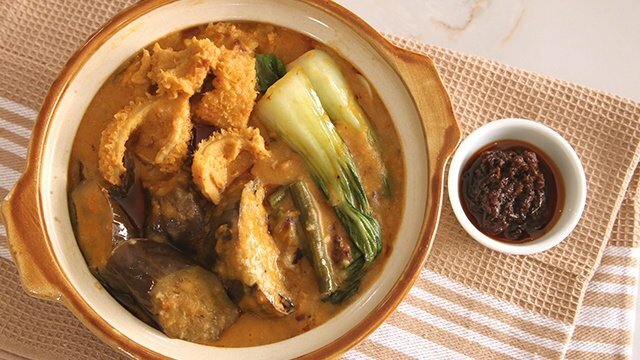 What's great about kare kare is that because it's relatively unseasoned, it's the perfect sauce to pair with almost anything and everything you want to serve with it. 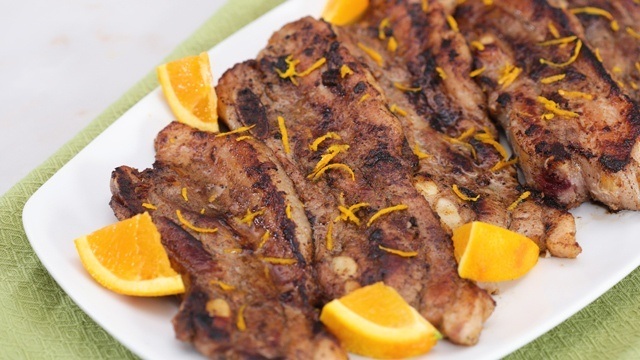 Whether it's pork, beef, seafood, or vegetables as we did here, you can be sure that it will be a match. 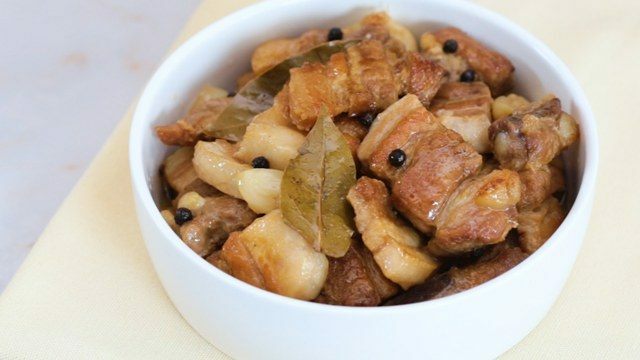 Enjoy with lots of bagoong and rice on the side for a truly Pinoy meal. Bring a large pot of water over high heat to a boil. Lower heat to a simmer and blanch string beans, eggplants, and pechay in batches until just heated through. Remove from the boiling water, and set aside. Meanwhile, in a pot over medium heat, heat oil. Add atsuete. Cook, stirring occasionally, to release its color. Remove and discard seeds. Add onion; cook until softened. Add garlic, and cook until fragrant. Add chopped peanuts and peanut butter. Stir.  Mix rice flour and water together. Pour into the pot. Stir. Bring to a boil, then simmer, and let thicken. Add blanched vegetables and cook until just heated through. Transfer to a serving plate. Serve bagoong on the side. This peanut-based sauce goes with all kinds of meat and greens. 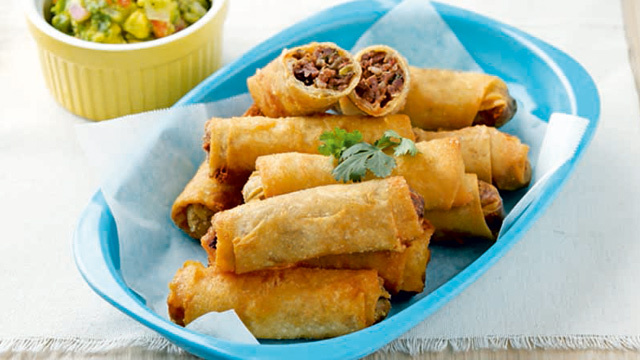 You Can Make These Tasty Beef & Cheese Flautas for Baon Ahead of Time!